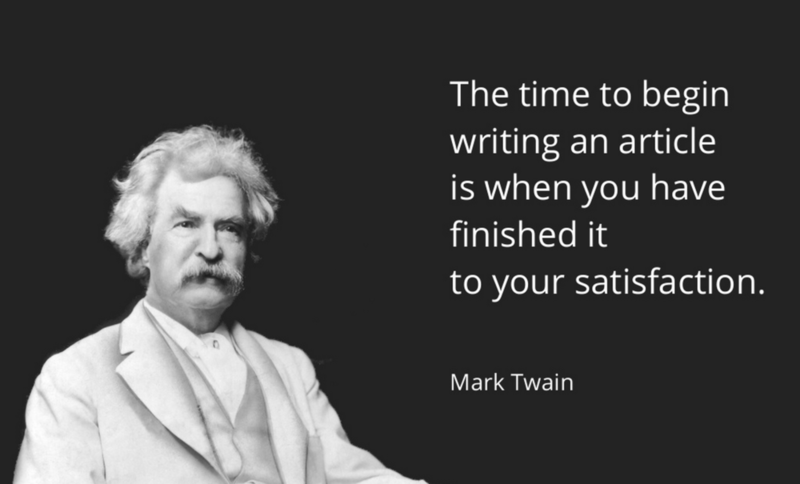 If your job involves writing in any way - or even if you just write a love note to your fiancée sometimes - you probably spend time wondering how to improve your writing. 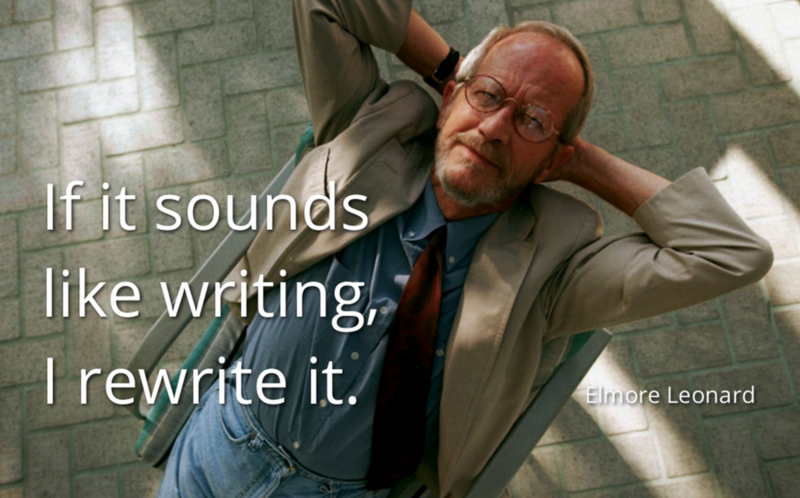 When it comes to writing tips, how about we ask some of the best? 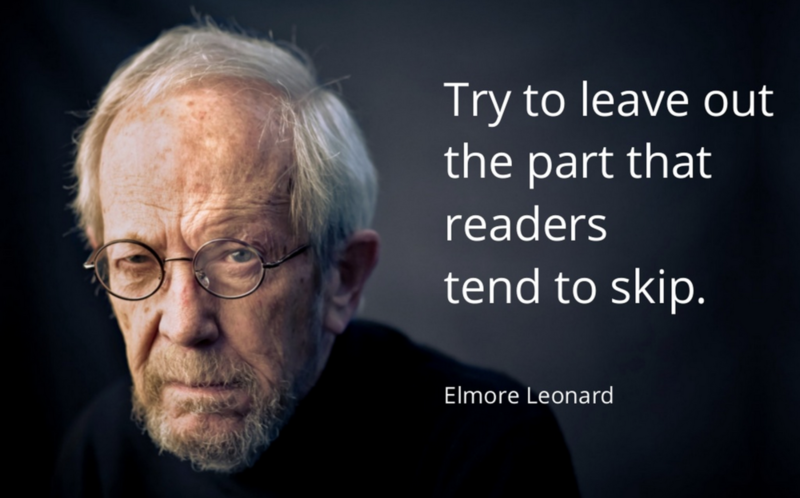 Good writing tips can come from actual writers. 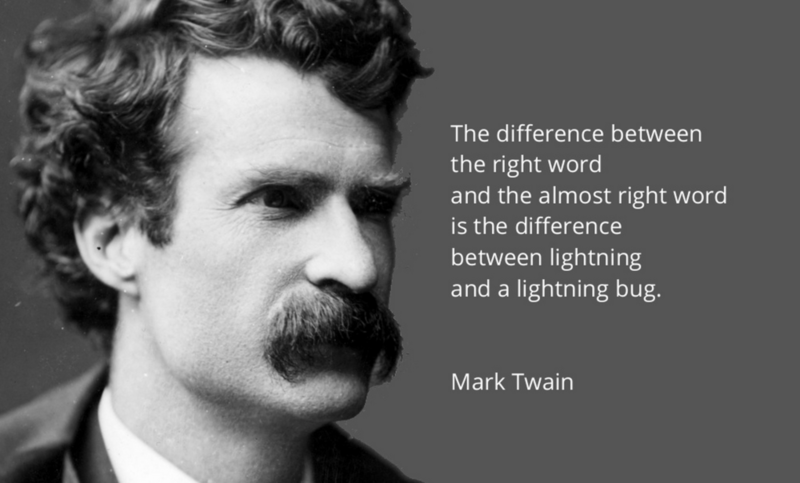 Think about it: writers understand words. They spend most of their lives reading and writing. They're always looking for the best word to use. They know where to cut, and where to expand. So, when a writer writes about writing, it’s worth taking note. 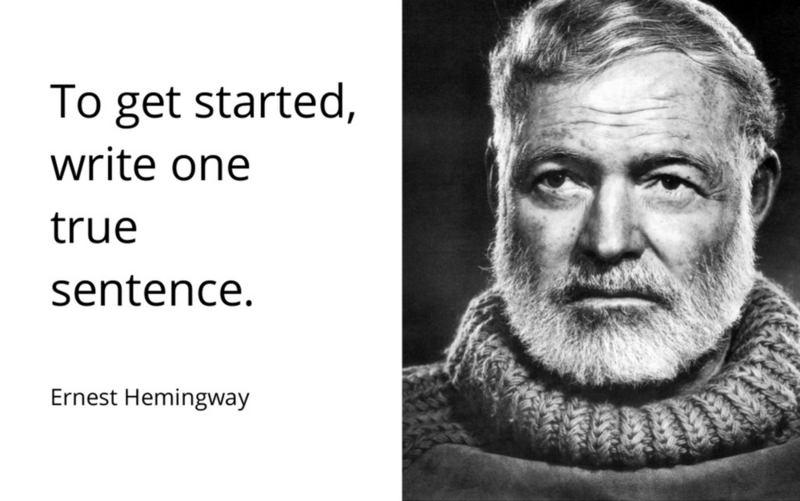 Here you can see the best writing tips we found for a few of our favourite writers: Ernest Hemingway, Mark Twain, Elmore Leonard and Francis Scott Fitzgerald. 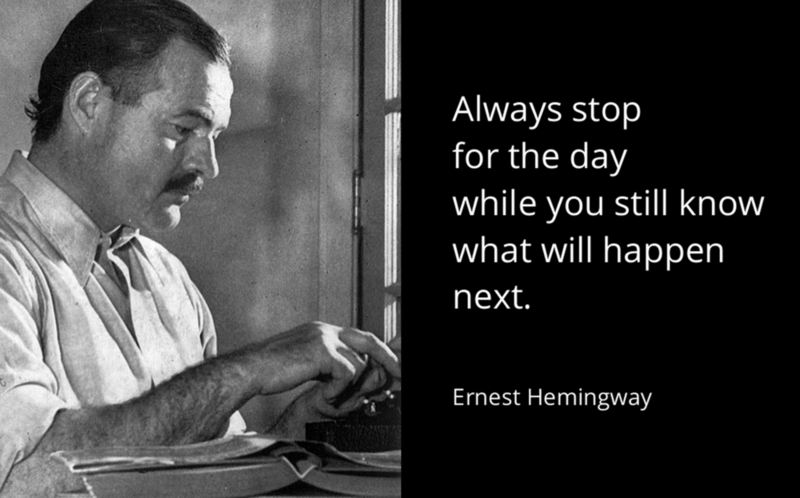 Before everything else, Ernest Hemingway was a craftsman who used to rise early in the morning and write. 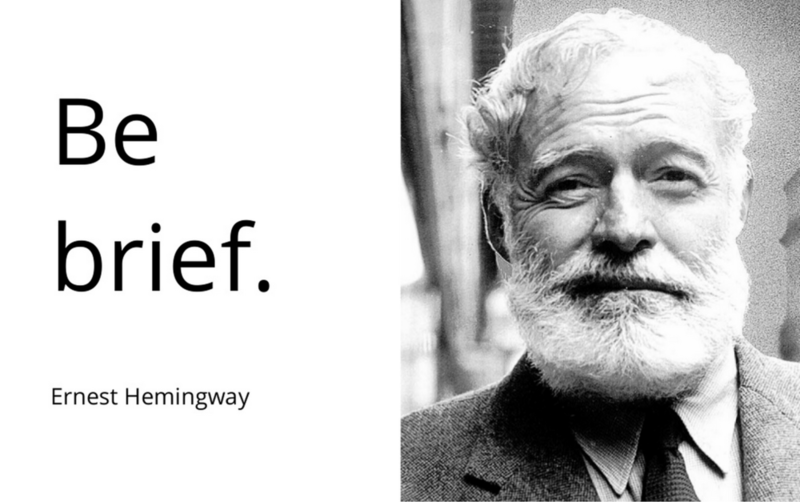 His best stories are masterpieces of the modern era, and his prose style influenced a lot of writers after him. 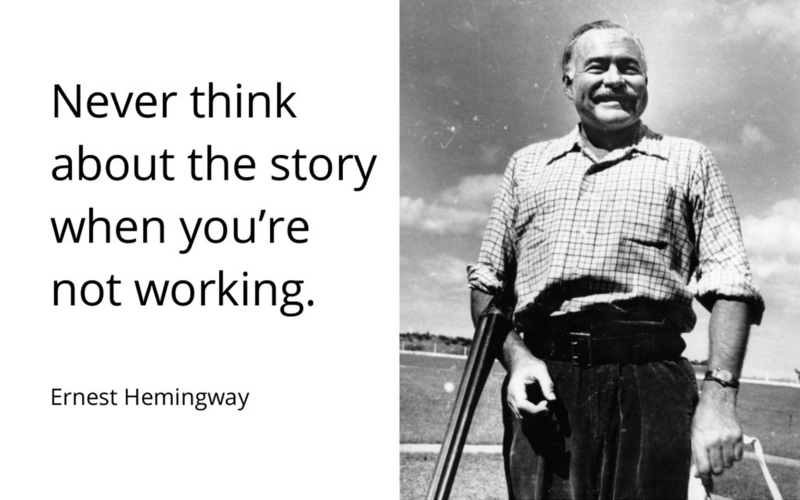 Hemingway never wrote books about writing fiction. Here and there, however, he left many passages in letters and articles. Here are our favorites. 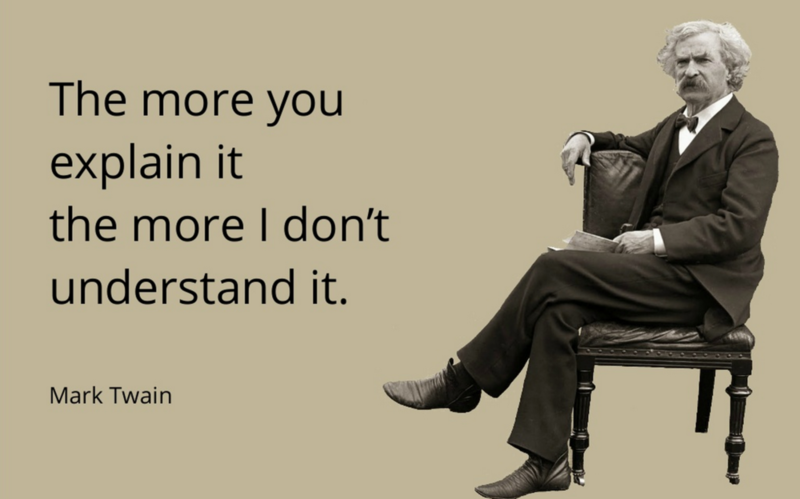 The quotes come from this post on Open Culture. 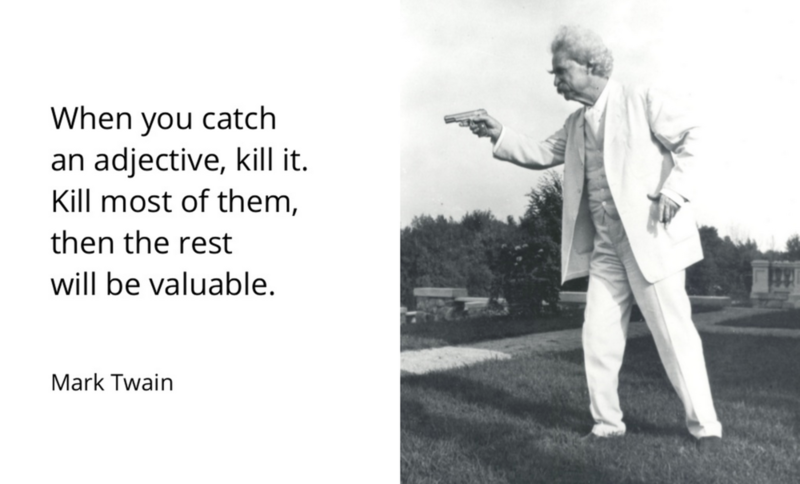 Mark Twain was the father of the American Literature, according to William Faulkner. He turned to journalism after failing at gold mining. Or, he just replaced mining gold with mining words. 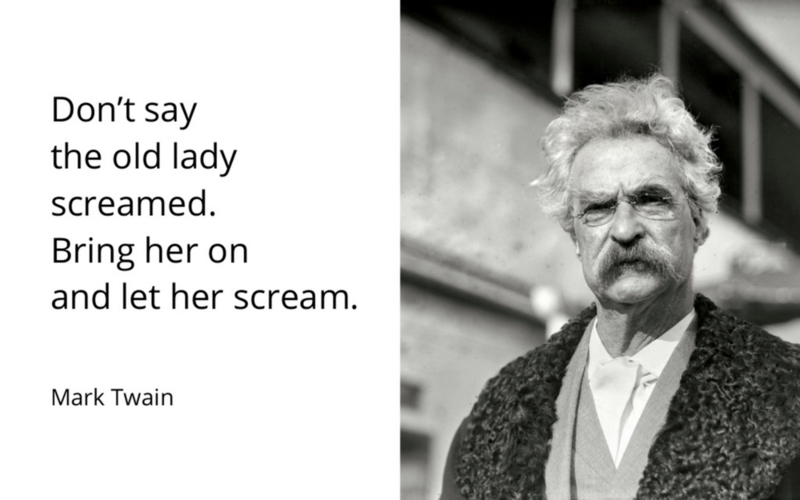 Here is some thoughtful advice from him, to guide us when we use too many adjectives or when we don't know what to do with a screaming old lady. The quotes come from this post on Rebelle Society. 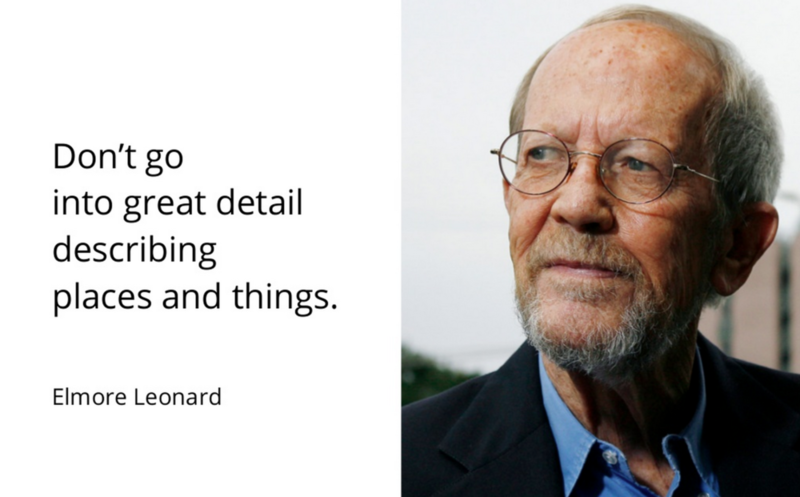 During his career, Elmore Leonard wrote almost 50 novels. 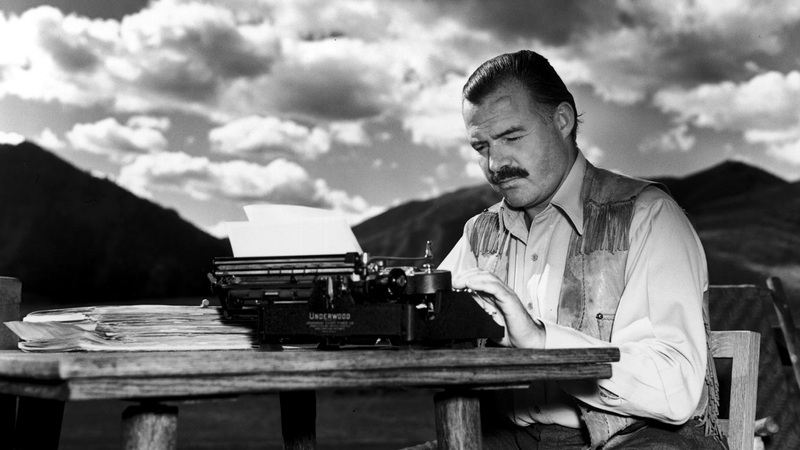 He specialized in crime fiction and thrillers, many of which have been adapted into motion pictures. 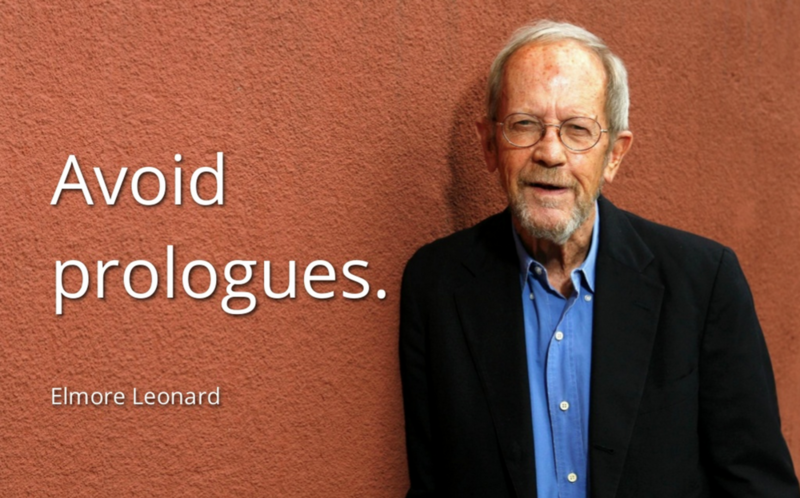 Being such a prolific writer, Leonard wrote an article for the New York Times explaining his fundamental rules for writing. 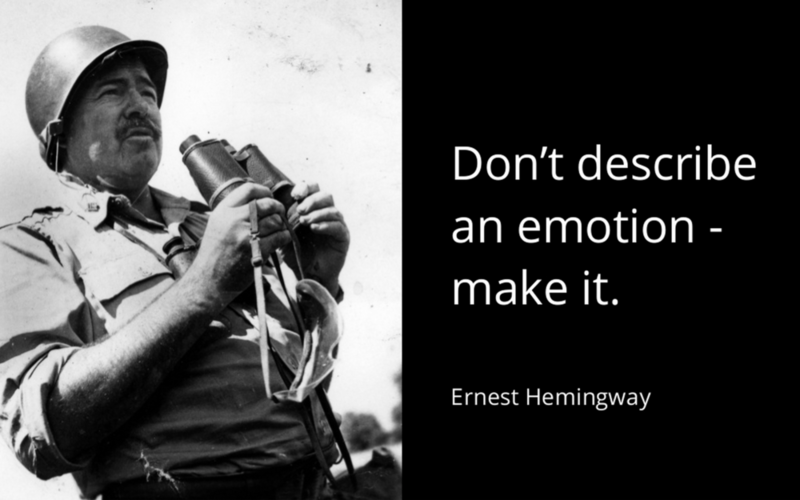 The quotes come from this post on Mashable. 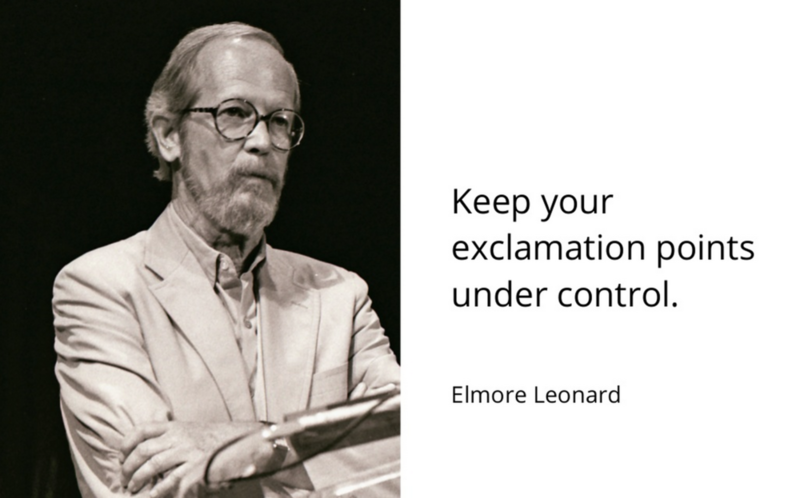 "Cut out all these exclamation points." 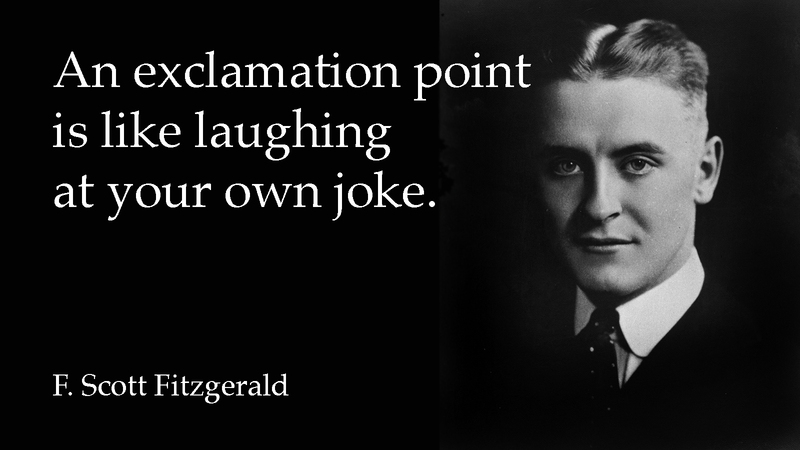 "An exclamation point is like laughing at your own joke" F. Scott Fitzgerald - Tweet this.